Save your money, less support email and more happy customer! 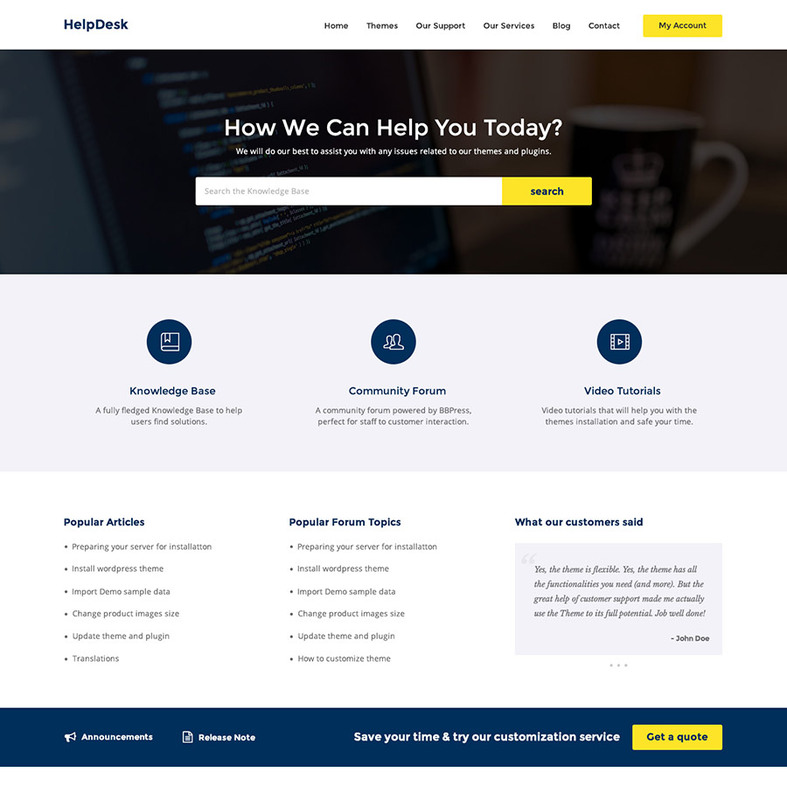 HelpDesk helps you setup a Knowledge Base in WordPress in less time than it takes to brew a coffee. Import the whole HelpDesk demo content quickly - with a single click of your mouse - and easily modify it to fully fit your needs. The powerful drag-and-drop to reorder articles in knowledge base, forum topics and layout builder for content . 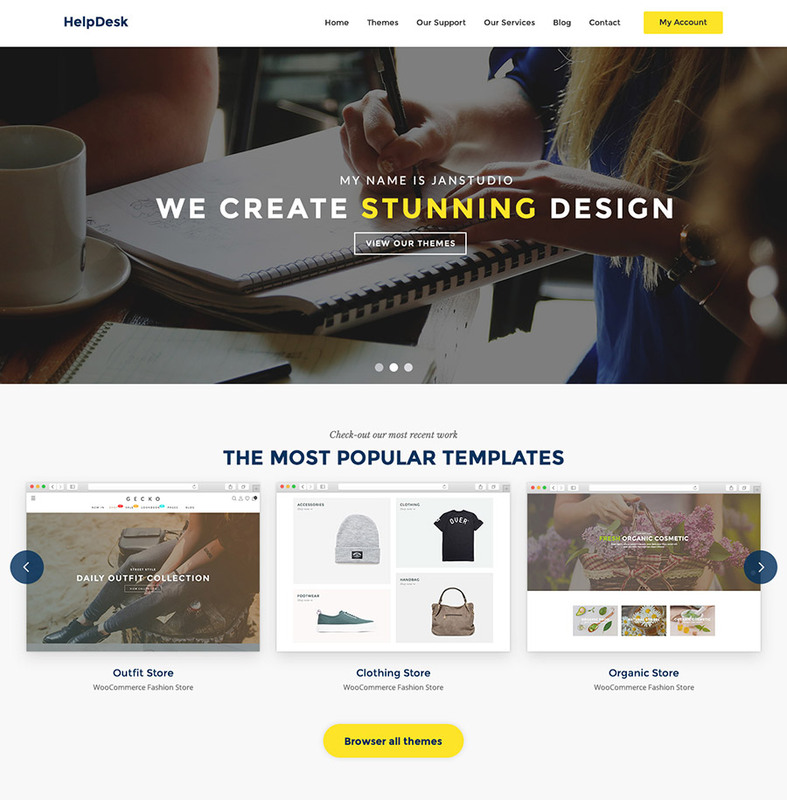 Made for mobile, HelpDesk is fully responsive and looks simply amazing regardless of the device or screen size it is viewed on.